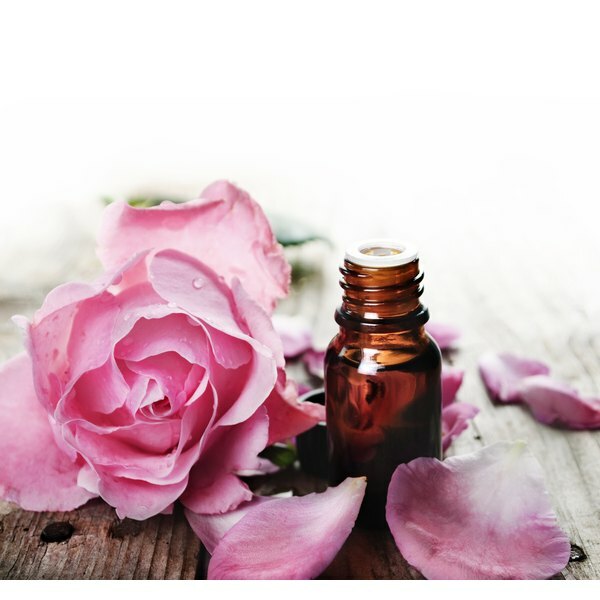 Rose petals are used to make an essential oil that can be worn in place of perfume. A clean, natural smell is, for some people, better than a scent from fancy colognes or perfumes. Some people are sensitive to the scent of heavy colognes, while others simply prefer to avoid too many chemicals. To keep you and your clothes smelling good naturally, use essential oils, sachets of dried herbs or flowers and natural deodorizers. Clothes made from natural fibers, such as cotton, bamboo or silk, will remain odor-free more readily than synthetic materials. Man-made fabrics, like polyester, trap sweat and odor-causing bacteria. This bacteria is more attracted to synthetic fibers, which also means it can be harder to get rid of body odor from clothes made from synthetic fibers over an extended period of time. Essential oils are natural oils found in fragrant plants, such as jasmine or orange blossoms. These oils can be used in place of chemical-heavy manufactured perfumes. Mix 6 to 12 drops of essential oil per ounce of carrier oil -- such as grapeseed, sunflower or olive oil -- and apply a small dab onto your wrists or behind your ears to leave you smelling heavenly throughout the day. As an added benefit, essential oils retain their scent for longer, because they’re more concentrated than perfumes, which are alcohol-based. Perfumed sachets are small bags filled with fragrant herbs or blossoms. You can purchase them pre-made, or you can make your own, filling a small fabric or mesh bag with dried herbs or flowers. Common choices include lavender, rosemary and rose petals. For a more exotic combination, think of mixing together dried ginger and cinnamon. Keep the sachets in your closet, where they will gently perfume your clothes, helping you stay fresh smelling. Baking soda is a natural deodorizer. You can use it to absorb extra sweat and oils after a strenuous workout -- it makes a natural underarm deodorant -- or it can be used to deodorize clothes. 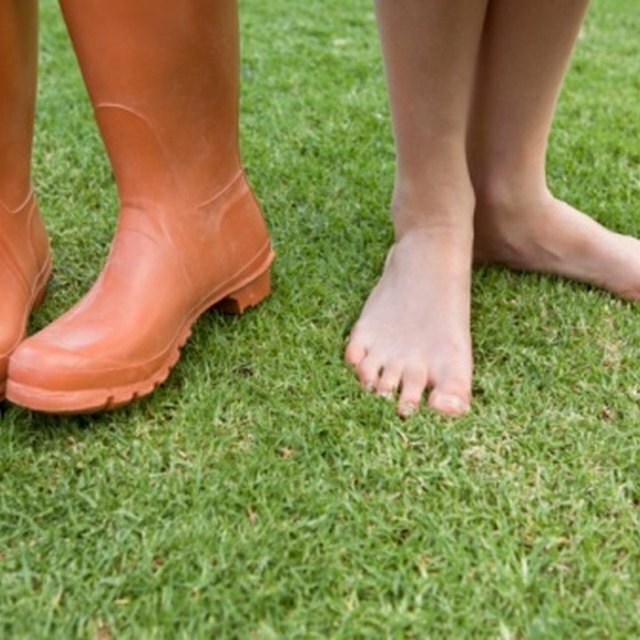 A common use is to sprinkle some into shoes and let it sit overnight, as it will absorb foot odors, reducing your chances of having smelly feet. You can also sprinkle and rub some onto your hands to remove odors left from food preparation.